It’s hard to be a good wife. And a good mom. And a good Christian. And a good employee, daughter, sister, friend, neighbor…I think you see where I’m going with this. 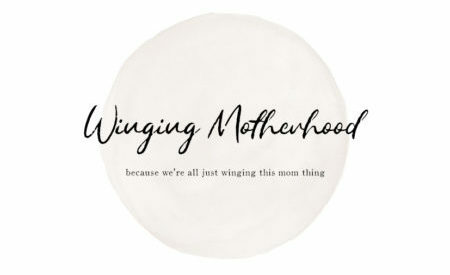 I shared this Carrie Underwood lyric and few thoughts on trying to be “good’ at everything when you’re a mom the other day on Instagram. The reaction from so many of you made me realize how desperately we need to hear that we are good enough. 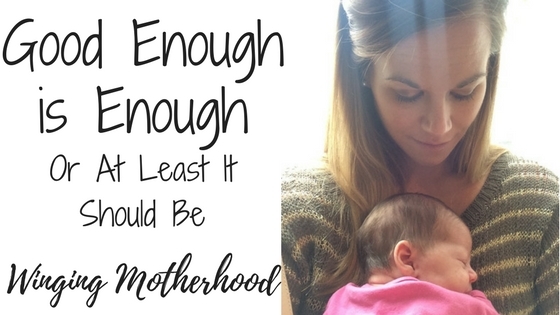 When did good enough stop being enough? You could blame social media – it has us all vying for that seemingly perfect life through tiny little squares. We share only the prettiest photos or happiest moments. We humble brag about our husbands surprising us with flowers for no reason or our kid scoring the game-winning touchdown. What we don’t share is the argument we had over whose turn it was to unload the dishwasher, which somehow escalated into 3 days of silent treatment. Or the phone call from the principal because our kid was bullying another kid. Or what the bathroom really looks like when we’re not taking cute photos of our kids in the tub. I’m not saying that dirty laundry needs to be aired all over our Facebook pages. Trust me, nothing makes me cringe more than that. Seriously, if you’re one of those people, knock it off. But we need to remember that a picture-perfect Instagram feed doesn’t mean a picture-perfect life. When we do post an unedited, unfiltered photo, we throw out a disclaimer apologizing for our appearance if our makeup isn’t done, our postpartum belly is sticking out, or our house doesn’t looked like a staged home from HGTV. At what point did it stop being okay to be human? Why do we have to apologize for what should be considered normal life? This was a really hard lesson for me to learn when I became a mom. And I find that I still have to remind myself, almost daily, that I am enough. A good enough mom for my daughter, a good enough wife for my husband, a good enough provider for my patients. A good enough everything else that I need to be in all of the roles that I serve. I’m a bit of a perfectionist, or at least I used to be. I don’t like to try anything if I don’t think I’ll succeed because not being good at something frustrates me. Asking for help is not something that comes easy because sometimes it feels like admitting defeat. But it’s true what they say about it taking a village to raise a child. To be a good mom, you cannot be afraid to admit when you need a little help. And you must be willing to accept it when it’s offered. Mom life is the best life. But it’s hard. Being a mother is the hardest job there is. (If it was easy, dads would do it…just kidding, we love you dads). It’s the most important job you’ll ever have and the biggest responsibility you’ll ever be blessed with. If you feel like you’re screwing it all up, you’re probably doing something right. 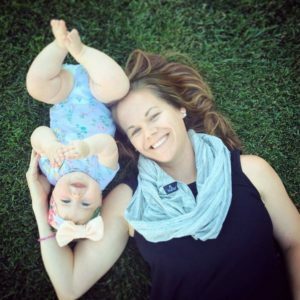 There will be days when you feel like you’re rocking the mom thing, but totally drop the ball at work. And there will be days where you pull a wife-of-the-year move but forget to pack your kid’s lunch. That’s why they invented dry shampoo. And leggings. And coffee. And wine. And mom friends. We need to be there for one another, and remind each other that we are good enough. If your friend tells you that her daughter finally started sleeping through the night at 18 months old, don’t rub it in and say your kid has been sleeping for 12 hours since 3 months. I mean good for you, but you’re not helping. Instead, celebrate this little victory with her, and every one that comes after that. Motherhood isn’t a competition. No one gets it right all of the time. I don’t care who you follow on Instagram. Even on my worst day, I am the best mom there is for my daughter. Because I am her mother and no one does that job better than me. So if you haven’t been told this already today, mama you are enough.